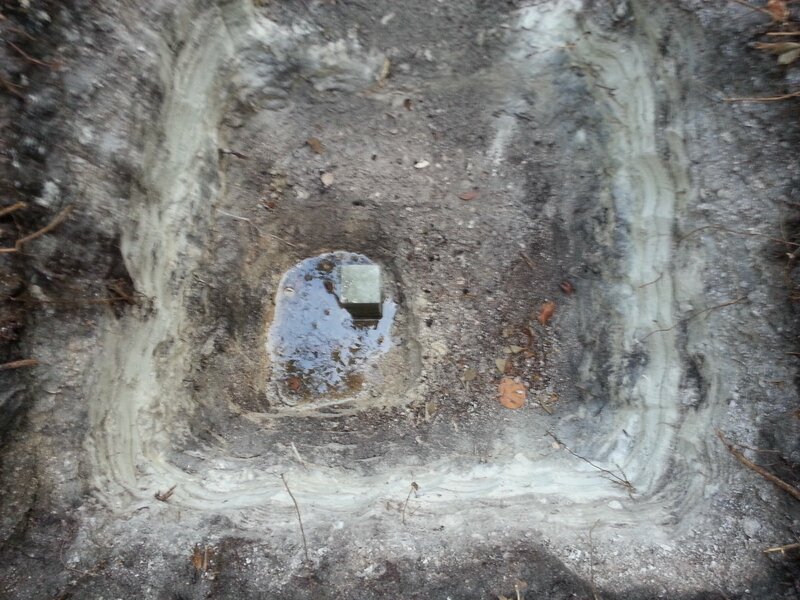 To discover the depth of the water table on the Rauschenberg Residency property, a hole was dug over two days. The brackish water appeared at around 48 inches in a beige layer of broken shells. The following soil layers were uncovered and displayed on the plywood board. A concrete property line marker was dropped into the water. The backside of the dig mound was carved to expose the layers of each in reserve order.